This is not your “definitive guide to buying your next TV”, but rather just some things that you should know before shopping for your next television. TV Technology has changed a lot even in the last 5 years and it is good to know these basic things before you make your decision. This isn’t really as much of an issue now as it was 5 years ago. They both have their advantages. The experts say that the picture on Plasma TV’s are better…mainly because the black’s on the screen are much darker than LCD’s. But Plasma’s are kind of a dying technology, they just were not as popular with consumers so they are getting harder to find. There are primarily two disadvantages to plasma. First the screens are usually glossy, which means in a room with windows or natural light you will have really bad glare on the screen. Plasma’s are best in “Home Theatre Rooms” that are typically in a basement with no windows. The second disadvantage is that they are quite a bit heavier than other TV’s. A 55″ plasma TV can weigh well over 100 pounds, while an LCD of the same size can weigh about half of that. This is a factor to consider if you ever think you might want to mount the TV on the wall. Let me start by saying that all LED TV’s are also LCD. LCD stands for “Liquid Crystal Display”. 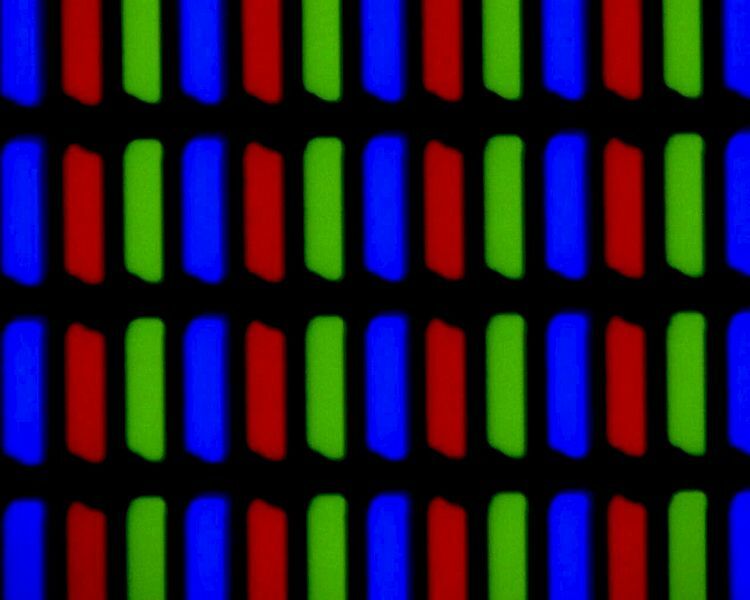 This LCD is made of red, green, and blue pixels and make up the actual picture you see on the screen. Most of the older LCD TV’s were back lit by cold-cathode fluorescent lamps (CCFL) behind the LCD panel. Some of the less expensive TV’s still use this type of backlight today. LED stands for “Light Emitting Diode” and are used in many of the current LCD TV’s today. There are 2 types of LED TV’s, “full array” LED’s are just what they sound like…a full array of LED lights behind the display panel, just like the older CCFL backlights. The other type of LED backlight is the “EdgeLit” LED TV’s. These use LED’s only along the edge of the display and use a special panel to diffuse the light across the entire screen. This is the type of LED technology that allows for the extremely thin LED TV’s. Both types of LED produce a good picture with less energy consumption but there are also some full array LED back-lights that allow for local dimming, meaning portions of the back-light can be turned off when not in use. This results in darker blacks and a better picture overall. Hertz is a a unit of frequency equal to one cycle per second. If you were to think of the Hertz rate of turning a light switch on and off, 1Hz would be turning the light on and off, 1 time in 1 second. When referring to LCD TV’s Hertz refers to how many times in one second the image is drawn on the screen. In the past all LCD TV’s had a 60Hz rate. The problem with a 60Hz refresh rate is that motion lag can be seen in fast moving images, such as sporting events on TV. To compensate for this lag manufactures began increasing the refresh rate…120Hz, 240Hz, even 480Hz. The biggest improvement can be seen when going from 60 to 120Hz, the other improvement only result in marginal improvements. This increased refresh rates not only eliminates the motion lag but also make the pictures on the screen look ultra-realistic. I personally like the way these higher refresh rates look, but some people don’t. Some believe that the cinematography, the magic in movies, becomes compromised. The images in the background become so clear that it is obvious that some objects aren’t real and are just props. This may distract you and keep you from becoming absorbed in the movies. But everyone is different and some may not be distracted as others would, it just comes down to personal preference. You can usually adjust the refresh rates on these newer TV’s so you can crank it up for sporting events and turn it back down for regular viewing. Probably the newest trend in TV technology are “Smart” TV’s. These TV’s have wi-fi and/or ethernet with built in web apps such as Netflix, Hulu Plus, Amazon Instant Video, and Pandora to name just a few. These Smart TV’s give you the option of watching or listening to content available online without the need for a separate HTPC or devices like a Roku or Apple TV. These Smart TV’s are one reason why many people are cancelling their cable or satellite TV service and just keeping internet in their home. Using these available apps allows many people to watch the TV or movies that they want without paying for 600 channels they never need. This is definitely a feature worth considering. So what does the future hold? You may notice that I haven’t really mentioned 3D…well about 2 years ago the movie studios and TV manufacturers really pushed hard to make this a mainstream technology. But it really hasn’t been adopted by consumers. So if you can buy a new TV that happens to include 3D as a feature then great! But I wouldn’t recommend choosing a certain model just because it is a 3D TV. I believe the future of TV’s will be OLED TV’s. OLED stands for organic light-emitting diode. An OLED display works without a backlight. Meaning it can display deep black levels and can be thinner and lighter than an LCD TV. In low ambient light conditions such as a dark room an OLED screen can achieve a higher contrast ratio than an LCD, whether the LCD uses cold cathode fluorescent lamps or LED backlight. OLED displays have typically been very expensive in the last few years resulting in limited applications such as cell phone displays or PDA’s. But at the 2012 CES numerous manufacturers debuted large screen OLED TV’s. Some of these will reportedly be available for sale later this year in the $8000 range. It’s a good start, hopefully in another year or two these will be mainstream and priced much more reasonably. There are a lot of options available in today’s TV technology. There is no “one size fits all” TV out there. It’s going to just come down to personal preference, I’d recommend heading to your local electronics store and looking at the different models and choosing what looks best to you. I hope that the information I’ve provided here will give you a good foundation for you to consider when buying your next TV.